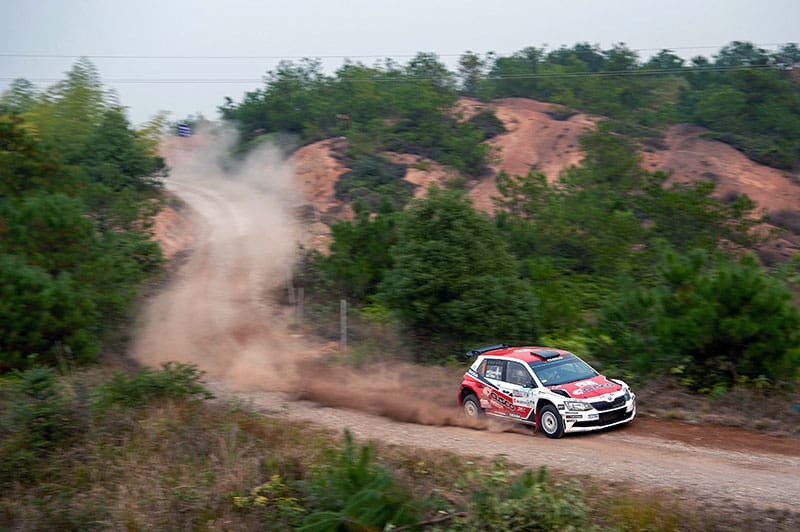 Guest APRC competitor, Estonian Volkswagen Golf driver Karl Kruuda, won the national championship China Longyou Rally, which was also the final round of the FIA Asia Pacific Rally Championship. Kudra was co-driven by Australian Dale Moscatt (pictured above). The only regular APRC finisher was this year’s champion Yuya Sumiyama (Skoda Fabia R5), despite rear suspension damage on Day 1, but his Cusco teammate, Mike Young, retired with engine problems in his special 2-litre Toyota Vitz. In second place in the APRC is Italian driver Fabio Frisiero. Yuya Sumiyama survived damaged rear suspension in his Skoda Fabia R5. Martin Koci won Rally Kosice, final round of the Slovakian championship, taking the national title from fellow Skoda driver Grzegorz Grzyb, with whom he had been equal on points before the rally, but who retired on the first stage. Second place on the Three Cities Rallye was sufficient for Peugeot driver Marijan Griebel to win the German national championship on the final round. Winner was Skoda driver Dominik Dinkel, who finished second in the series, four points behind Griebel. Italian driver Giandomenico Basso won the Rallye International du Valais, final round of both the T-E-R series and the Swiss national championship, heading a top six success for Skoda Fabia R5 cars. Basso finished the T-E-R series 40 points ahead of the Belgian Joachim Wagemans, while Ivan Ballinari took the Swiss title. Father and son drivers, Olivier and Michel Burri, finished second and third on the rally, thanks to the late retirement of Kevin Abbring, who went off the road. Lancer Evo X driver, Carl Tundo, won his fourth Kenyan rally title when he won the Kabras Eldoret Rally, beating the similar cars of Baldev Chager and Tejveer Rai. Kris Meeke is due to make his first competition appearance in five months when he drives a Skoda Fabia R5 on the final round of the Belgium championship, the Condroz Huy Rally (2-4 November). Another guest entry will be Stéphane Lefebvre in a Citroen C3R5. Meeke is expected to make his competition debut with a new co-driver to replace Paul Nagle. He attended Rally Legends with Derek Brannigan. 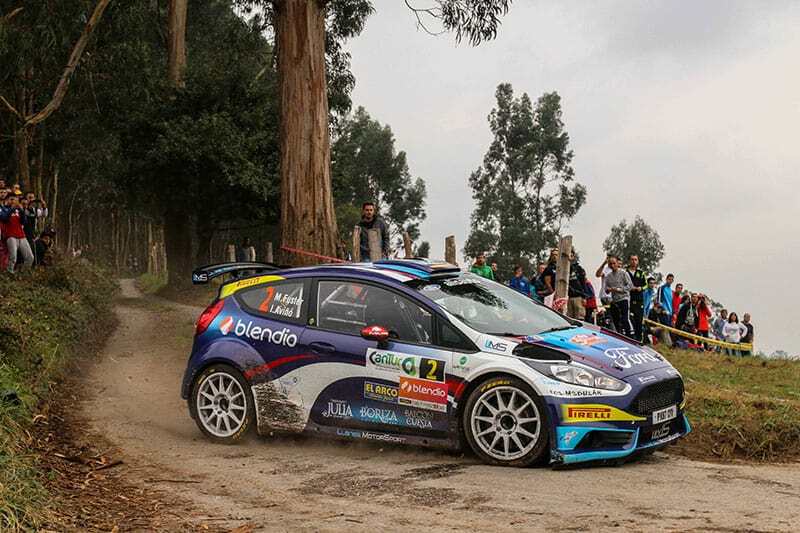 Miguel Fuster’s Fiesta R5 won the Blendio Santander Cantabria Rally after a long battle with Ivan Ares’ Hyundai i20 R5. Third was the Fiesta R5 of Bryan Bouffier, while top placed N5 car was Joan Vinyes’ Suzuki Swift. 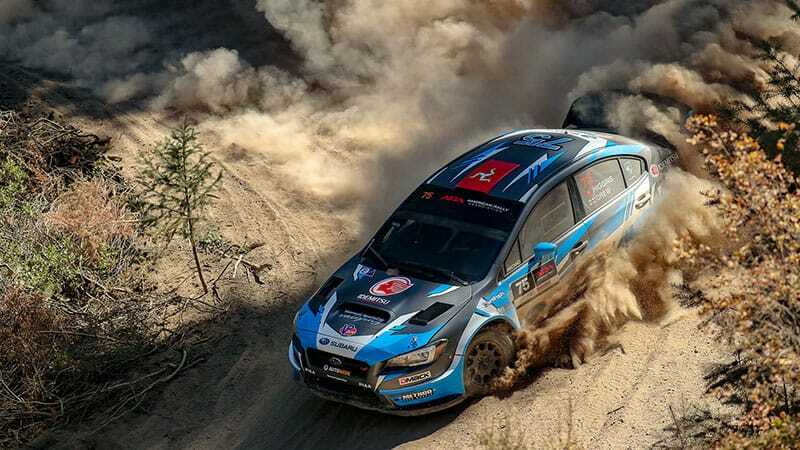 In North America, Subaru WRX STI driver David Higgins won the American Rally Association title for the first time by finishing second at the season’s penultimate event, Idaho Rally. Rival association Rally America sees a continued fight between David Brown (Subaru) and Piotr Fetela (Fiesta Proto), but winner this time at the snowy Lake Superior Performance Rally was Joseph Burke Junior’s Lancer Evo IX. Last weekend saw the Argentina championship Rally Entre Rios with victory and an increased championship lead for Federico Villagra’s Fiesta MR turbo. Second was Geronimo Padilla’s Peugeot 208MR and Alejandro Cancio’s Chevrolet Agile MR.